As one by one my boys are graduating and leaving home, it has become glaringly clear to me that while most days are crazy and hectic and loud and busy – there are really only a few things in life that actually matter. Life doesn’t slow down, there will never be more time, and what we all need to realize is this: If we want good for our family, we need to prioritize it, pray for clarity, and take the next step toward it. Family prayer time? It doesn’t happen if we don’t schedule it in. Time to read our Bible as a family (or as an individual)? It doesn’t happen if we aren’t intentional. Serving together as a family? It gets tossed by the wayside if you don’t make a plan and execute it. Choosing good in any form? It’s too easy to let the schedule dictate the hours of our day. I encourage you today (not tomorrow…today) to write down goals you have for your family. What does God want for your tribe? How can you make that happen? The truth is that if God wants it for you, He will provide the time and energy for you to make it happen. It’s as simple as that. Regarding all things good for our family – and this looks different for each of us! – it can be as simple as sitting around the living room on pillows and bean bags talking about God’s goodness and praying together. But sometimes having something tangible in your home can make a huge difference in helping us carry out a plan or achieve a goal. 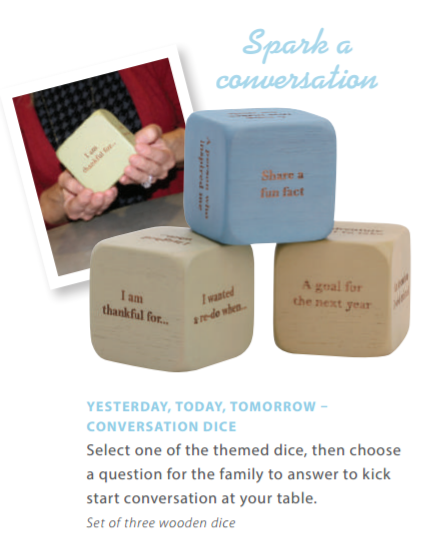 Red Rock Traditions is a company that has created many fantastic items for families who want to be intentional about character training and time together. I pulled out a few of my favorites to show you, but I really encourage you to look through the catalog and see what fits your family’s needs best! My very favorite is this Thankful Hearts/Loving Hearts Guest Book! 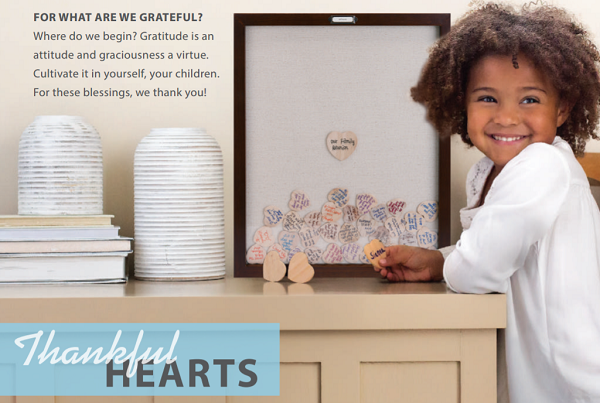 You can use it to fill with things your family is thankful for, but we got one and we’re going to use it for hospitality! Each time we have a guest, they will sign a wooden heart and slide it into the frame. It will hang on our wall as a loving reminder of all who have blessed our home. We will see their names and pray for them. This will soon be filled with great memories! I’d love to hear some of the ways your family has chosen to be intentional about your time together. Do you block out family prayer time? Do you set aside time to read the Bible together? What provides you with the best conversation time? How do you schedule this in with busy schedules? Look through the Red Rock Traditions catalog and leave a comment here sharing a favorite product you found for your family. This will get you a second entry in the giveaway! Anyone who places an order before the end of June will receive Red Rock Bucks! For every $25 purchase you will get $5 Red Rock Bucks for your next purchase. For every $75 purchase, you will get $10 Red Rock Bucks for your next purchase. And for every purchase over $150 you will get $20 Red Rock Bucks for your next purchase. I’ll select a random winner for the $50 gift card on Tuesday, June 27. Well, water and vinegar (and children) are all well and good, but sometimes we need more than that – for the tougher jobs (as if all cleaning isn’t tough, but don’t worry, I won’t start my typical “I don’t like to clean” whining fit). 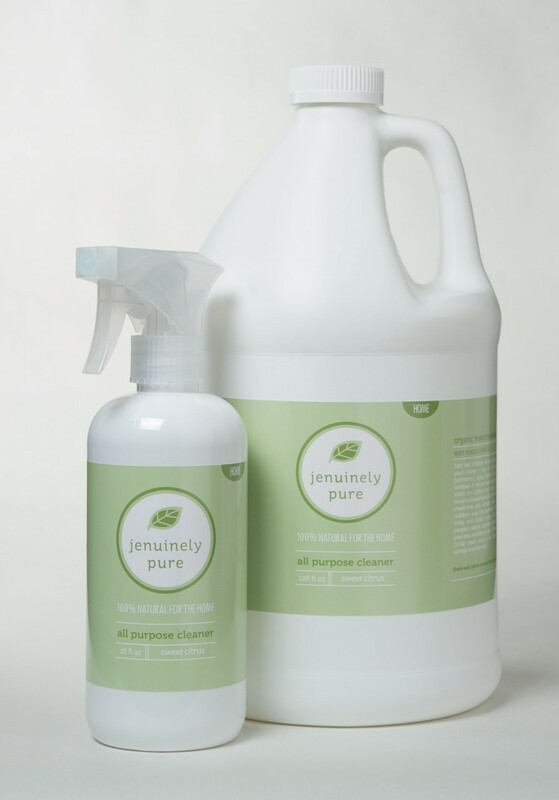 This Jenuinely Pure All-Purpose Cleaner is the one I’ve used on my shower that left my husband asking, “Who came and installed a new shower in our bathroom?” Yep. It got the shower THAT clean. I personally love that not only does this work very well, it is completely organic and non-toxic. And if all that isn’t great enough, it truly lives up to its “all-purpose” title. I mean windows, carpet, bathrooms, kitchens – one cleaner really does do it all! Safe and effective on all surfaces in your home – use in kitchens & bathrooms, spray lightly to clean windows & mirrors and floors; treat stains on clothing and carpet, dust wood surfaces…leaves surfaces clean, streak-free and smelling fresh. Plus, the essential oils used in this cleaner are known for their antibacterial, antifungal and antiviral properties. Jenuinely Pure also has a great variety of products from Bar Soaps (super high quality, wonderful smelling, luxurious!) to Foaming Hand Soap and Gentle Baby Products. Not only that, they are giving away two $20 gift certificates to spend in their store. Want a chance to win? Enter the Rafflecopter below. I’ll draw two random winners on Tuesday, April 18. I’m sure you’ve all been wondering how often I wash my hair. Just like you’re surely curious the frequency of how often I pull out a fresh tablecloth or shake out my bathroom rugs. No? Don’t really care that much? I don’t blame you in the least. But I do feel it’s worth mentioning that I’ve trained my hair to need very infrequent washings. Certainly no head is created equal, so what works for me may not work for you. I’m just happy to have developed a lower maintenance hair lifestyle. I mean, back when I washed my hair every day, my hair thought it needed to be washed every day. Or, is it possible that I just thought it needed to be washed every day but it really didn’t? Maybe I was just in the habit of washing it every single morning without even considering the need to actually do that. Either way, as the years have gone on, I’ve either gotten lazier or I’ve started to actually pay attention to what my hair actually needs. As it turns out, my hair doesn’t need to be washed every day. It doesn’t even need it every other day. My hair stays nice and healthy when I wash it just twice each week. Lazy or not, it sure is nice not to have to mess with washing, drying, and curling every day. I’ve said it many times before, and I don’t mind saying it again that I don’t know what I’d do without my pretty Flexi-Clips. I wash, dry, and curl my hair on Sundays for church. On Monday, Tuesday, and Wednesday I simply pull my curls back into a Flexi. My hair isn’t anything fancy, and sure, the curls begin to flatten after that many days and nights of living life and sleeping. But my Flexi-Clips make it easy to pull my hair back in about 10 seconds. I get compliments on my clips all the time! It has nothing to do with my hair. The Flexis are just that cute! 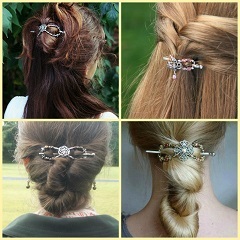 What I love best about the Flexi-Clips is that I believe they help keep my hair healthier. They don’t break my hair like rubber bands did. They don’t pull my hair like rubber bands did. And unlike rubber bands, which stretch out and need to be thrown out after just a few uses, Flexi-Clips last forever! So there you have it. My hair-fixing life consists of infrequent washings, Sunday only curlings, and practically every day Flexi-Clip wearings. After so many years of Flexis, I have a fun little collection so I can match them to my outfits or moods. Want to start (or add to) your own collection? Paula, our very own Lilla Rose consultant, is giving one of you a $50 gift certificate! Think of all the Flexi-Clips! And of course, they have Bobby Pins (which I also love) and other accessories too. Sign up in the Rafflecopter below for a chance to win the gift certificate! I’ll draw a random winner on Tuesday, Feb. 21. Watch for an email announcing the winner that I’ll send to everyone who signs up. I always want to support good causes and sites with ethically sourced products, but I’ll admit that sometimes the prices hold me back. This is why I’m so excited to learn about Love Justly. It’s the best of both worlds! What if we can get a good deal on great products and help people too? 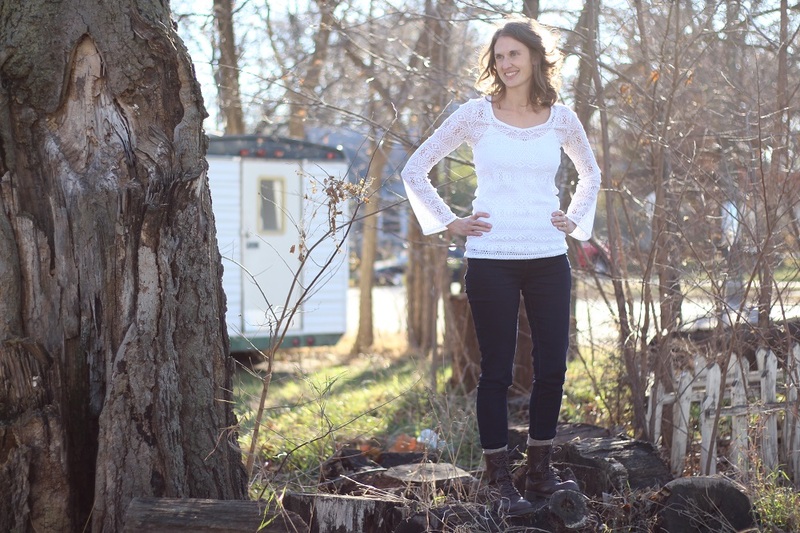 What if we can buy items that are fair trade, are ethically sourced, or have a social mission? And what if the products are super cool too? This is what Love Justly is all about. 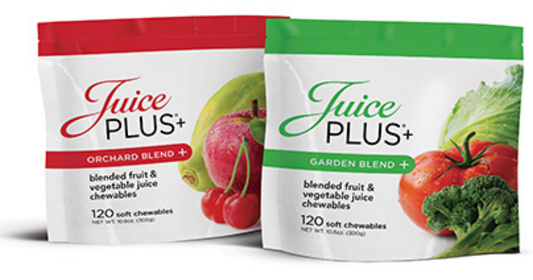 I encourage you to read the specifics of what this site offers to learn about how they choose the products they offer. Each of the items they offer are high quality, reasonably priced, and fun! 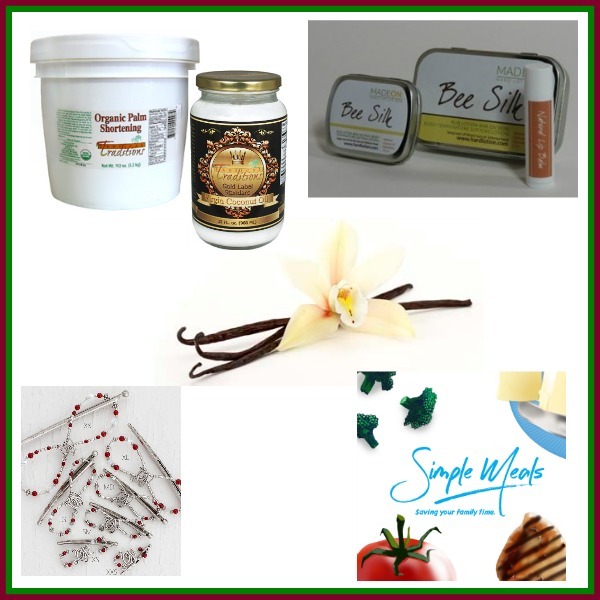 We can feel good about where these products came from and who they help support. Jenny, of Love Justly, offered to send me something from their site to try out. 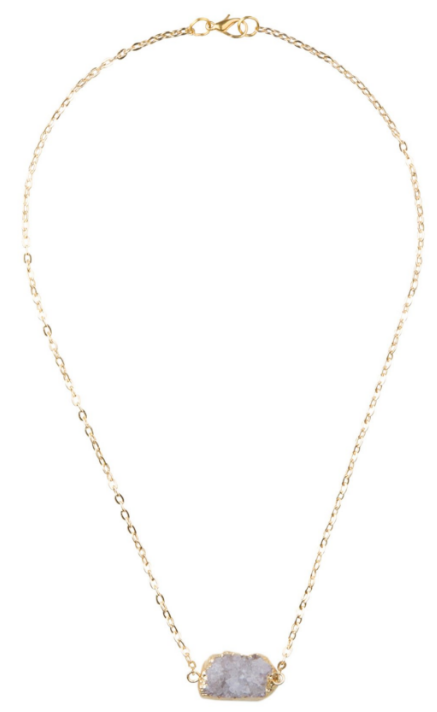 I chose this beautiful Crystal Pendant Necklace. Isn’t that fantastic? My necklace is so much more than a piece of pretty jewelry. There are many more options to pick from on the Love Justly site – from clothing to kid’s items to shoes and bags. Not only are the prices great, you get free shipping on orders over $50. And don’t forget the best part of all – buying these items helps make life better for others! I’m so glad to be made aware of Love Justly and to share it with you, too! 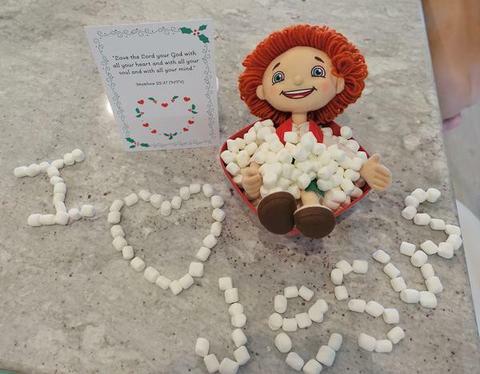 To help the excitement grow, Jenny is giving away a $25 gift certificate to be spent in the Love Justly shop. Sign up below for a chance to win! I’ll draw a random winner on Monday, January 30. If you sign up, be watching for an email with winner information. Even better! Jenny’s created a 20% off discount code for all of us to use! Use the code 20%off at checkout for the discount to apply. Take advantage of this great offer! Win 2 Christian DVDs and a $25 Target Gift Card! 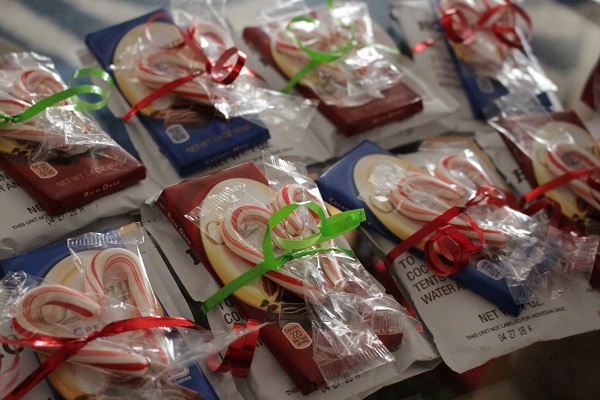 This year, our family enjoyed putting together some little goodies for several people in our disabled and low income community who have become our friends. It isn’t much, but hopefully it showed the love of Christ. I hope these dear ones know how special they are and how much they’ve come to mean to me. Can you tell those candy canes are supposed to form a heart?! You wouldn’t think either of those would be difficult, but we most definitely need God’s help in these simple areas. He is faithful. It’s been amazing how He’s opened our eyes and hearts and helped us learn to love better. It’s been amazing who we “see” at church and in the community when we ask God to “help us see who you need us to see today.” Truly amazing. I encourage you to try it. 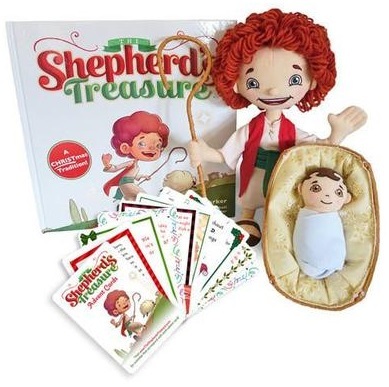 As the countdown to Christmas is winding down, here’s a fun and inspirational giveaway for you! Grace Hill Media has recently released two DVDs, Hillsong: Let Hope Rise and Greater. I love watching films like this with my family! I haven’t seen these yet, but they are to arrive in my mailbox soon. Guess what else? I’ll be receiving copies for one of you, too! AND, they are sending a $25 Target Giftcard to share with the winner! What a fun Christmas package that will be! Enter to win this set of DVDs plus the Target giftcard in the Rafflecopter below. I’ll draw a random winner on Friday, December 23. P.S. These movies will be available December 20. Check them out here: Greater and Hillsong: Let Hope Rise. Tis the season for amazing giveaways, huh? Today the folks at Berkey.com are offering to send one of you a Big Berkey, worth $258! Isn’t she a beauty?! Atrazine – Removed to greater than 99.9%. 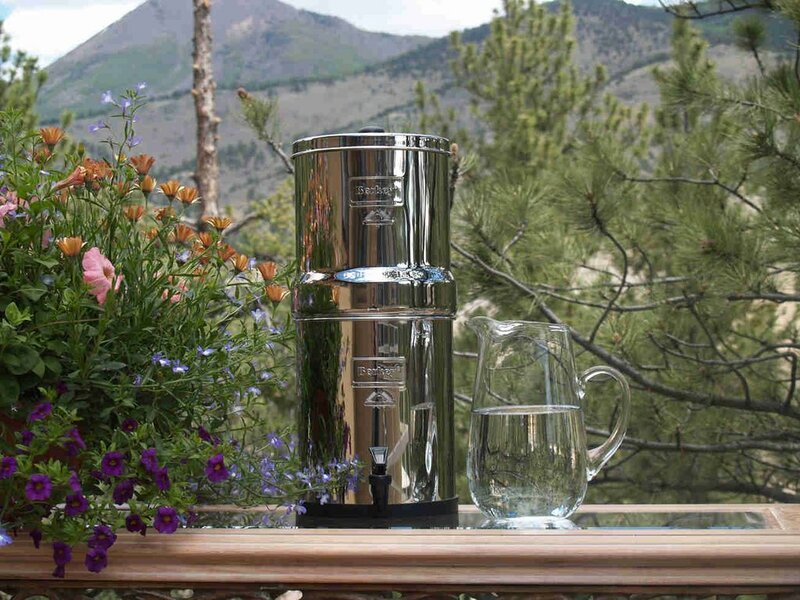 We can taste the difference in Berkey filtered water compared to straight tap water. 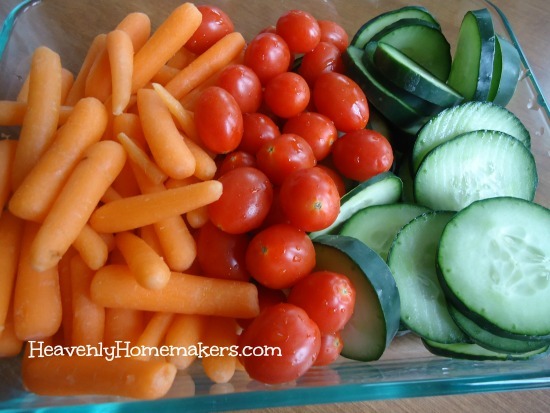 This is such a simple, yet amazing item to have in the kitchen. It filters up to 2.25 gallons at once, which means you can fill it in the evening before bed and have plenty of filtered water the next day for your family. Read more about the Big Berkey here! Want a chance to win a Big Berkey? Enter the Rafflecopter below for not one, but three chances to win! I’ll select a random winner on Friday, December 16. This has got to be one of my most exciting giveaways to share with you! Why? 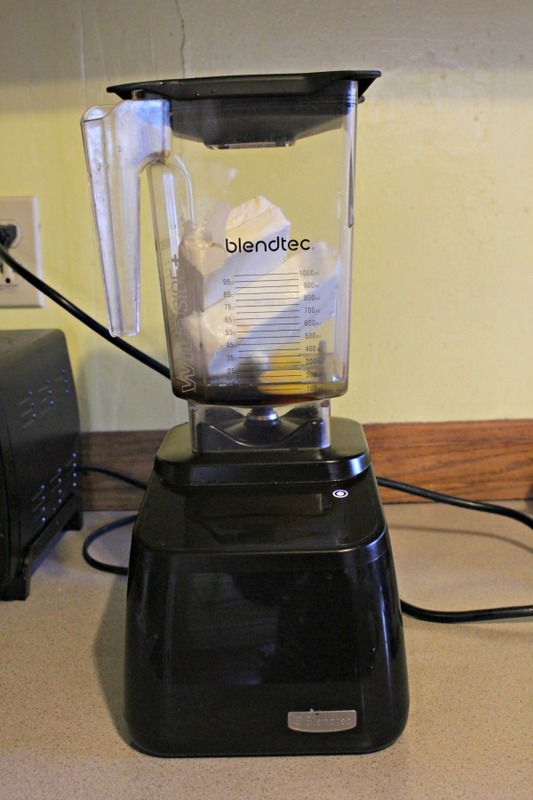 Because ever since I invested in a Blendtec my kitchen life has become soooo much simpler! I wish I could give one to every person reading this. I haven’t splattered cream all over my countertops and walls in months. Why? Because I don’t have to whip cream using my hand mixer anymore. Instead, I pour cream into my Blendtec and it whips it for me in less than 30 seconds. It is so, so easy. I use my Blendtec for homemade applesauce now, throwing cooked apples in peel and all, and it makes beautifully smooth sauce. 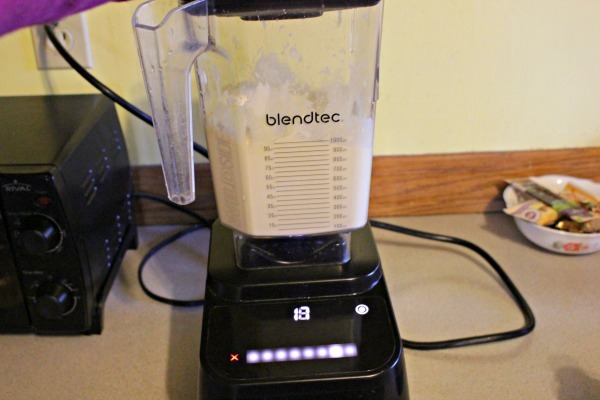 I use my Blendtec to mix muffin batters, cake batters, cheesecake, and so much more. Of course I use it for smoothies and all the normal blender needs. I use it at least once every day if not three times. 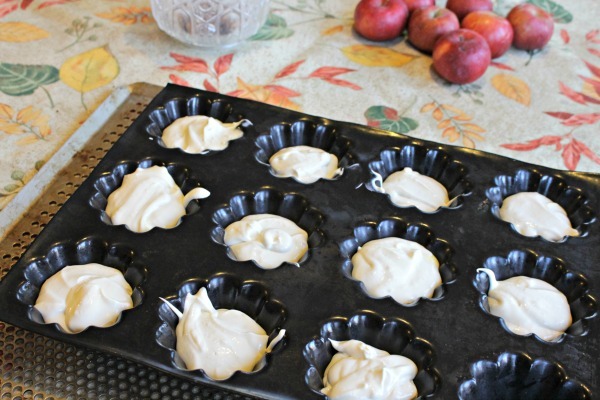 I throw the five ingredients into my Blendtec, whip it for a few seconds until it is smooth, pour it into muffin cups, and bake. The stevia sweetens it, the small amount of maple syrup takes away any stevia aftertaste, and I’m left with the most delicious treat! 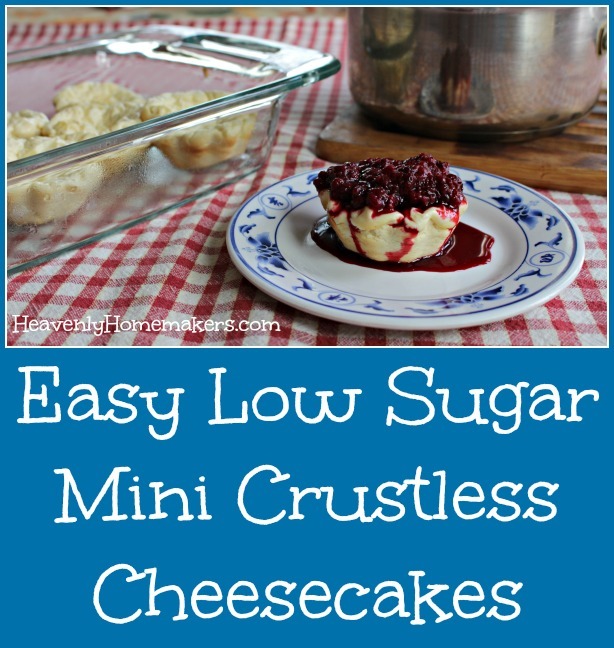 Here’s the recipe, and check out the wonderful giveaway below! 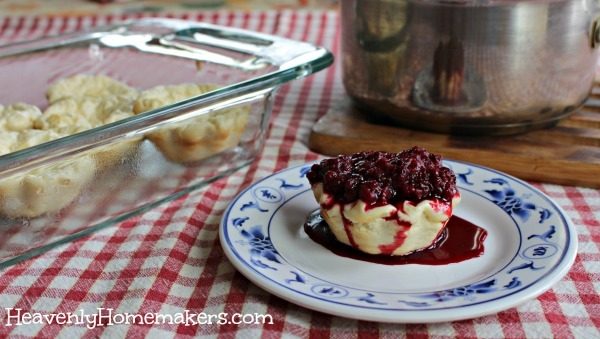 Transfer cheesecakes to the fridge and chill for at least two hours before serving. My family likes pouring homemade fruit sauces over the cheesecakes! So you say you’d like to win a free Blendtec? They are certainly amazing. I’m definitely using mine frequently as I prepare for Thanksgiving! 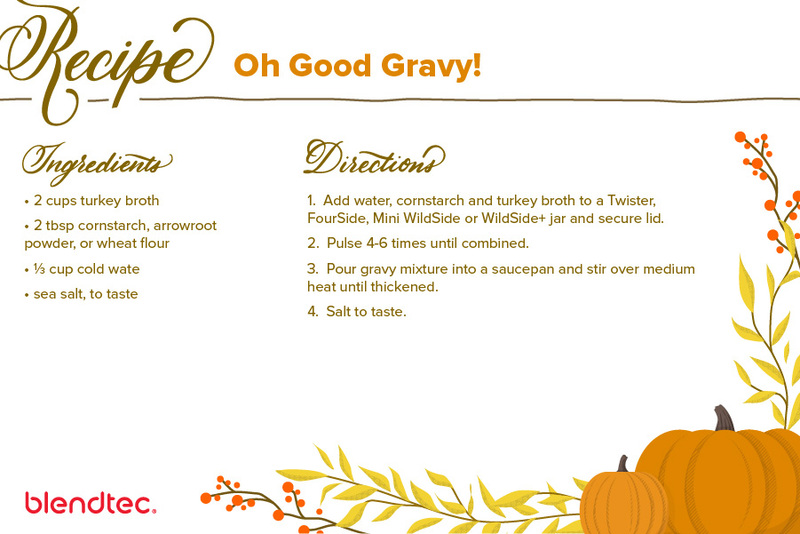 The Blendtec folks took my very own Oh Good Gravy recipe and adapted it to make in the Blendtec! 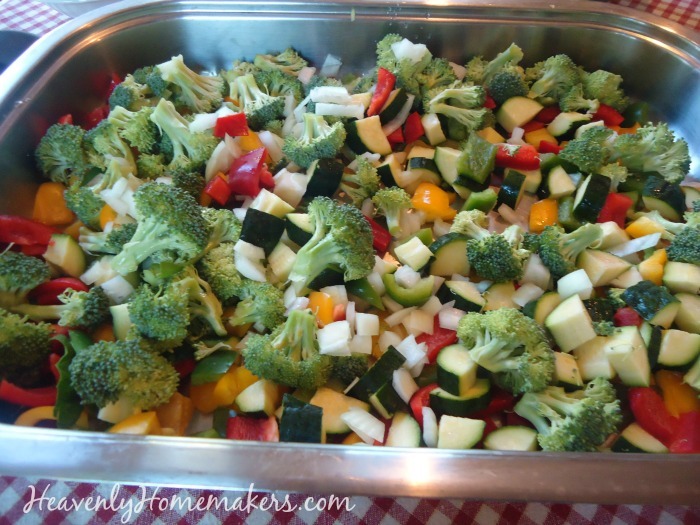 They created a downloadable recipe card for everyone to have for free! Enter the Rafflecopter below for a chance to win your very own Blendtec! You want this on your Christmas list! Huge thanks goes to Blendtec for providing a Blender for me and also one for you!